We set out with a continued hope to build our community with strong awareness of cleft lip/palate and other craniofacial conditions; create events that foster hope, motivation, and connection for those whose lives are affected by these conditions; and raise money to help support the Cleft Palate Foundation's mission to serve these individuals and their families throughout each phase of their life. 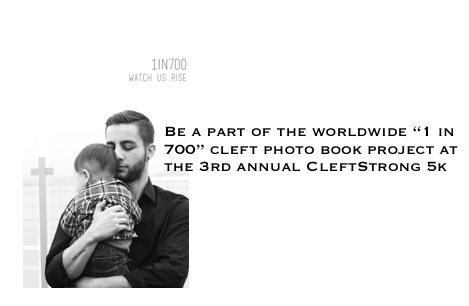 CleftStrong was founded in July of 2014 by a mom and dad whose son was born with a cleft lip. Shortly after he was born, with one major surgery and two months of planning behind them, they organized the Inaugural Family Fun 5k. "This special evening was, more than anything, a community coming together with helping hearts. And it just so happened to be the beginning of something really amazing."